No I haven't been on one lately but The Retreat by Aharon Appelfeld has been a reading treat which is close enough. Actually wouldn't a Reading Retreat be a great idea? Times of complete silence through the day to read and think, crackling log fires, nice food, evening discussions. I'll get some tents up and a primus stove around a bonfire in the garden and let you know. You may recall I stumbled on a stack of Aharon Appelfeld's writing, this is Holocaust reading at a slant and I can now highly recommend it. My copy translated from the Hebrew by Dalya Bilu and at this point I discover that Appelfeld's native language is German but he couldn't bring himself to write it, choosing Hebrew instead for its expression and imagery.Appelfeld was eight when he escaped from a concentration camp so he has his reasons. I knew nothing about Aharon Appelfeld but Gabriel Josipovici's introduction fills in plenty of gaps and provides a solid background to further reading. "the plight of the Jews in the Europe of the thirties, their impossible desire for assimilation, the fool's paradise in which so many of them chose to live and their subsequent fate." Simple melancholy stories in which nothing really happens except actually a huge amount happens because we are reading as Appelfeld was writing, with hindsight. The principle theme of the book is dreadful. The setting is 1938 and the retreat a hostel-home-hotel high up in the mountains set up to "eradicate the defects of the Jews". Leader Balaban's grip on his project slowly diminishes as his residents move in and despite his and their best efforts create a very Jewish community surrounding themselves in their history, their language and their culture. Whilst sharing their thoughts and fears they resolutely ignore what is going on around them in the hope it will just go away. I was half-reminded of The Magic Mountain by Thomas Mann, but probably only because the setting is high up a mountain and everyone is a step removed from reality.Only half-reminded too because I have only ever managed to read half of that book before wanting to take to a bed on a balcony with a blanket over my knees. "Appelfeld's books are far more disturbing than any account of Nazi atrocities and Jewish suffering just because they are so quiet. They will not let you go." "And so the book ends not with despair and destruction but with a quiet dignity which is all the more unnerving for what it leaves unsaid about the way that dignity will be tested in the years that lie ahead." I've been as impressed with the introduction as the book and make no apology for leaving the final words with Gabriel because I could hack it about and precis it but I'd surely lose something which I think may prompt many to go and pick up an Aharon Appelfeld now. 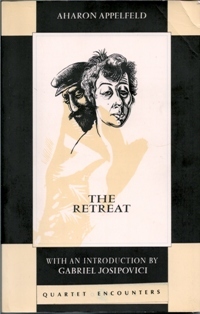 "Novels are not the world, they are spas, retreats.By demonstrating that retreats can never be more than temporary refuges Appelfeld creates novels which point beyond themselves to what no novel can ever say. And so there is no peace at the heart of the retreat, there is the peace of the great art, of an art which is fully aware of its own condition and of the condition of man, at the heart of this gentle and terrifying book."